Commercial drivers are held to higher standards than operators of passenger vehicles, and alcohol consumption is no different. While all DUI arrests carry hefty consequences, the impact of a commercial driver DUI can cost one’s livelihood. You need a commercial driver’s license (CDL) to legally operate vehicles over a certain gross weight (including tractor-trailers, tow trucks, buses and other heavy vehicles). If you are convicted of a commercial DUI – which is operating a commercial vehicle with a blood-alcohol concentration of 0.04 or higher – you will lose your commercial driver’s license for at least a year. 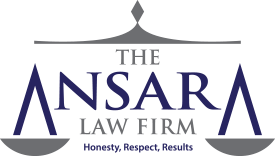 At The Ansara Law Firm, our Fort Lauderdale DUI defense attorneys know what is at stake in commercial driver DUI cases. We are committed to fighting to preserve your freedom, reputation and career. Drivers of non-commercial vehicles can legally operate a motor vehicle with a blood-alcohol concentration of less than 0.08 (assuming their normal faculties are not impaired at the lower BAC level). F.S. 316.193 makes a first-time DUI offense a misdemeanor, assuming defendant wasn’t involved in a crash where someone was hurt or killed. Commercial drivers, meanwhile, are considered in violation of the law if their blood-alcohol concentration meets or exceeds 0.04 grams of alcohol per 100 milliliters of blood. That is the per se (statutory) level of a violation according to F.S. 322.61(3)(a). One could also be charged with DUI if deemed under the influence of any chemical substance to the extent one’s normal faculties were impaired. You’re driving a commercial vehicle while your CDL is suspended or you have been disqualified. You will be ineligible to receive a hardship license, which means it will be impossible for you to continue working. A second DUI in a commercial vehicle could mean a lifetime disqualification of your CDL. If at the time of your arrest for any of the above offenses, you were transporting hazardous materials, you will be barred from driving a commercial vehicle for at least three years. If you want to regain your commercial driver’s license after a conviction, you must wait until the disqualification expires, and then you’ll have to pay a disqualification reinstatement fee before you can restore your commercial driver’s license. Driving a commercial vehicle without the proper class of CDL. A person convicted of three of those offenses in a three-year period faces up to 120 days of suspension. Your DUI defense lawyer may be able to negotiate a reduced charge to a non-drinking offense, which would mean a faster return to work – and less chance of losing your job. This is definitely something worth fighting for if you want to keep your career options open. Is There Any Way to Save My CDL? Maybe. But you must act quickly. You will be allowed to request a hearing to contest the suspension, but you must do so with the FLHSMV Bureau for Administrative Reviews within just five days of the arrest. Your odds of prevailing at this hearing are exponentially improved with the help of an experienced defense lawyer. If you are ultimately convicted, you have 30 days in which to notify your employer. If you are unsure what your next step should be, contact an experienced Fort Lauderdale DUI defense attorney right away.